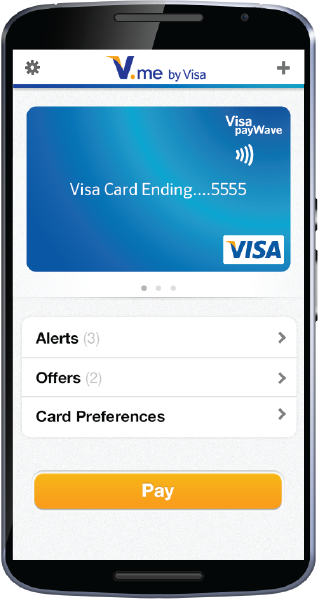 VISA acquired PlaySpan in March 2011 for $190 million in cash and as a result the entire team was rolled into VISA. 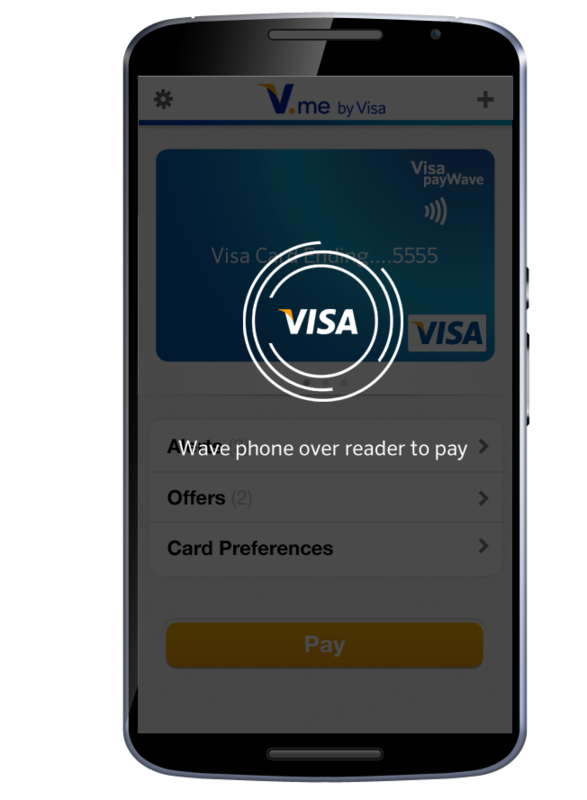 VISA acquired us to use the UltimatePay 2.0 payment platform I helped design as a basis for their new endeavor called V.me by VISA. 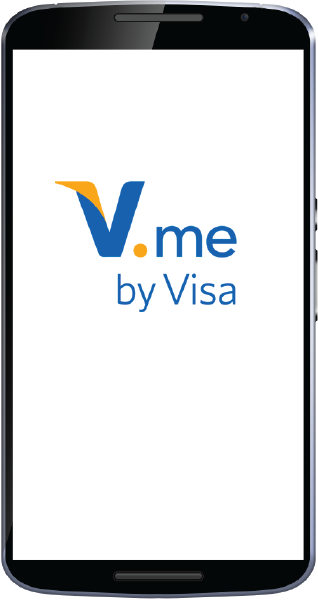 V.me by VISA was an online checkout platform recently rebranded as VISA Checkout. This was my first experience in a truly massive company and there was a giant learning curve to how take and apply design thinking to such a large organization. 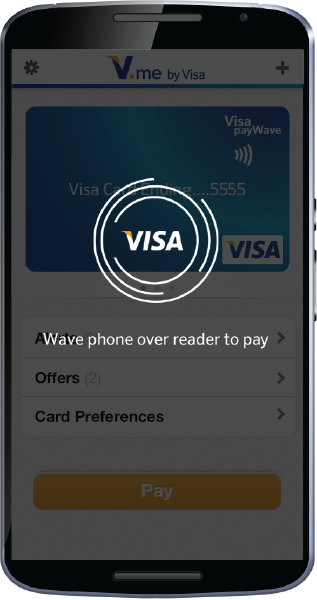 Luckily VISA was 100% committed to moving their entire org from a old school waterfall process driven company to an agile cutting edge company. They reconfigured their offices to spur conversations and hired agile coaches. It was a perfect environment to also introduce design thinking and get everyone a part of the creative process. 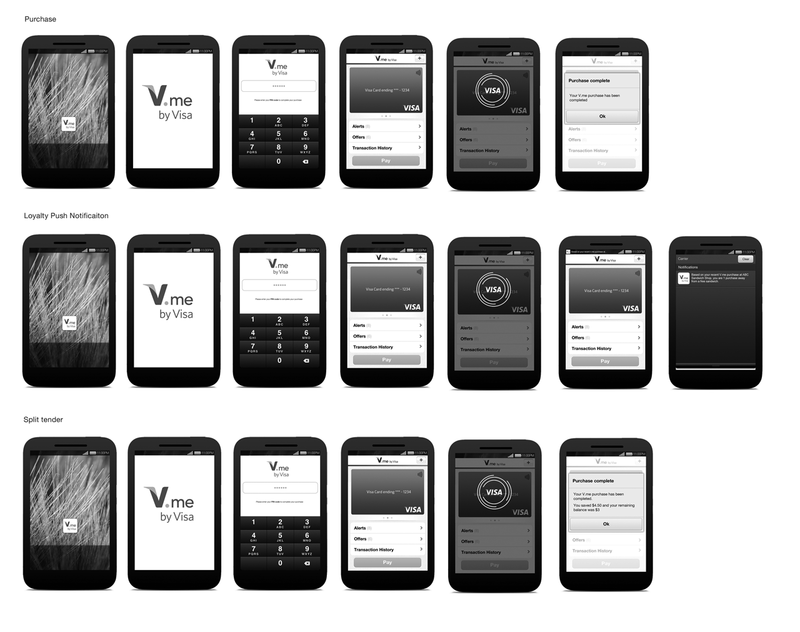 I led UX for the V.me cross channel merchant and consumer experience. I not only oversaw the reskinning of the UltimatePay 2.0 payment platform on the web but I was tasked with looking at other channels and opportunities for V.me. This was before apple pay hit the scene and it was pretty obvious in the industry that there was a very interesting opportunity paying with your mobile phone. We were lucky enough at VISA to have our own dedicated room for designing. 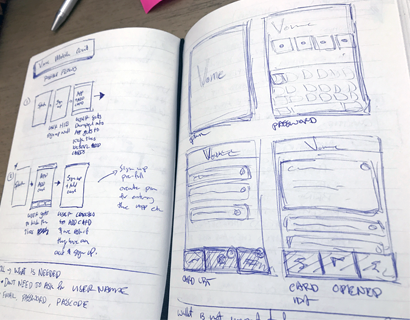 We spent months brainstorming, developing a UX strategy and researching. 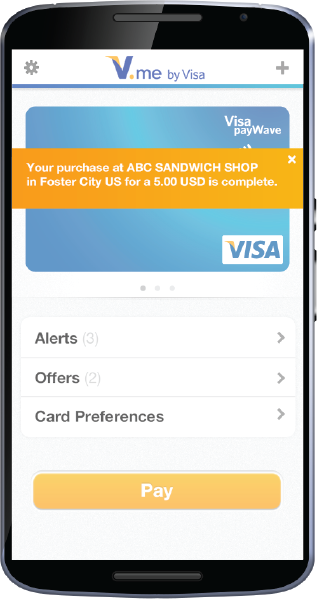 We teamed up with Create with Context a local user research firm and started testing different mobile payment prototypes. 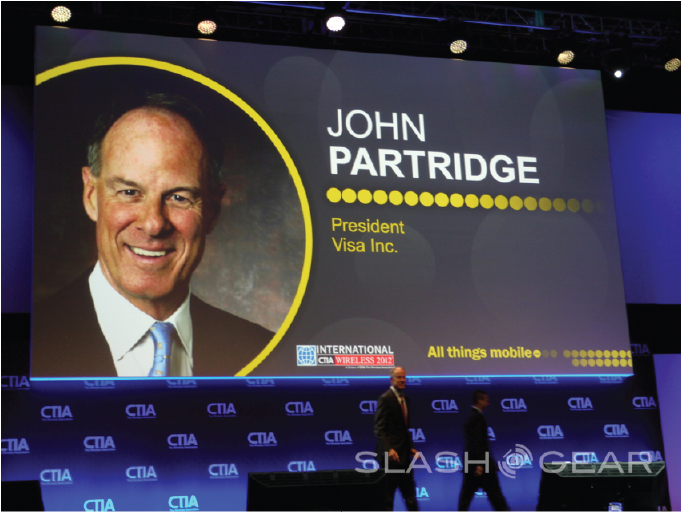 By the end of the project we had a pretty cool app that John Partridge, President of VISA presented at CTIA as VISA's next generation of mobile payment services. It was the highlight of my career at VISA. 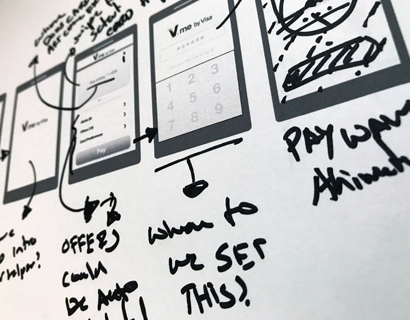 At VISA we had our own design "war room" to run workshops and brainstorming sessions to help inspire what the next generation of mobile NFC payment apps could be. We were also able to utilize Create with Context as an offsite resource so we could immerse ourselves in working on this app away from the noise of the office. We developed our UX strategy and target personas and then set up interviews, brainstorming sessions and team building exercises. It was an amazing learning and growing experience. 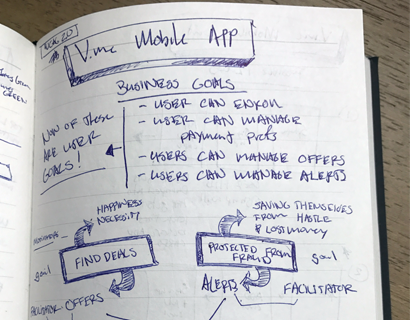 A couple pages out of my notebooks on brainstorming of the v.me app. VISA was one of the few places that really understood the importance of design and allowed us to explore, experiement, travel, etc. We would put sketches and lofi printouts on the wall and mark them up during the ideation phase. 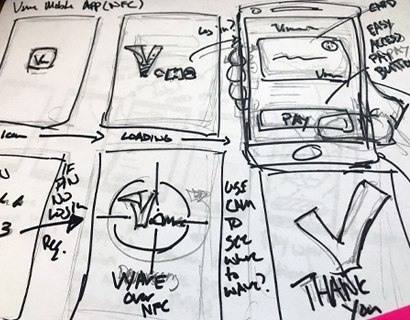 V.me app wireframes, purchase, loyalty push notification and split tender happy path. 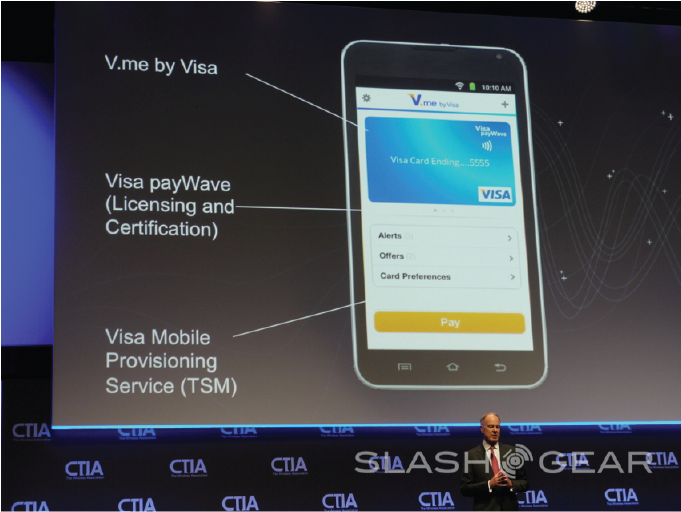 All of this work manefested as a working prototype android app that John Partridge President of VISA showed off at CTIA as VISA's next generation of mobile payment services. v.me app happy path screens.